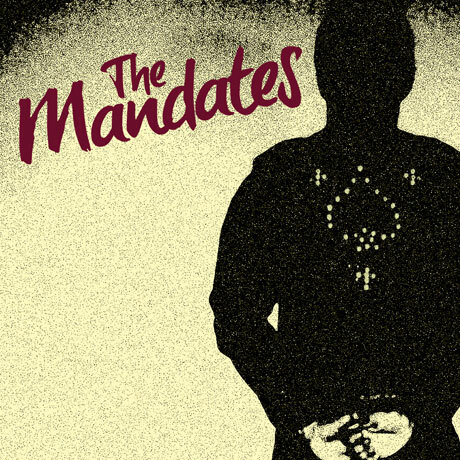 Calgary quartet the Mandates toe a lovable line between '77 punk, melodic power pop and fist-pumping rock'n'roll. Today (March 28) marks the release of their debut LP. If you're on the fence about picking it up, we've arranged a stream of the whole thing to make a believer out of you. The 11-track release was recorded with Calgary local Ryan Sadler and mixed and mastered by Portland punk veteran Pat Kearns. In an interview with Exclaim!, Mandates guitarist Brady explains why they chose to get it mixed in Portland. "He's worked in his studio with a lot of our favourite artists of all time, groups like the Exploding Hearts, Clorox Girls, the Nice Boys… the list goes on," he explains. "The experiences I had in Portland left a pretty big impact on me, and his ability and ear for the genre are, in my opinion, basically unmatched. I called him up because we were trying to do all the mixing ourselves. It was taking weeks and the weeks turned into months, and I needed an objective ear. Luckily he was happy to oblige and he did all the mixing and mastering in Portland, in two days. Obviously we think he nailed it." Hear for yourself with an exclusive stream of The Mandates below. If you like what you hear, pick up a copy through the group's Bandcamp page.